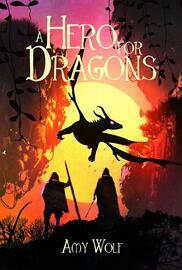 Mattie Sharp is back - along with her dragon pals! But what’s a girl to do when her best friend Artorius falls for a Chinese dragon, her fiance’ Eli is fighting a civil war, and gold goes missing from ASH, leading Mattie to suspect the (flat) Egyptian Ramses. After being tried as a witch and spending the night with a Saint, Mattie gets to the heart of the mystery - and finds out it involves teeth! Will Sarug ever be foiled? Will Mattie and Eli get married? Find out in the last Cavernis Trilogy book, A Hero for Dragons.